Come see this lovingly maintained 3 bedroom, 2 bath home before it's too late. 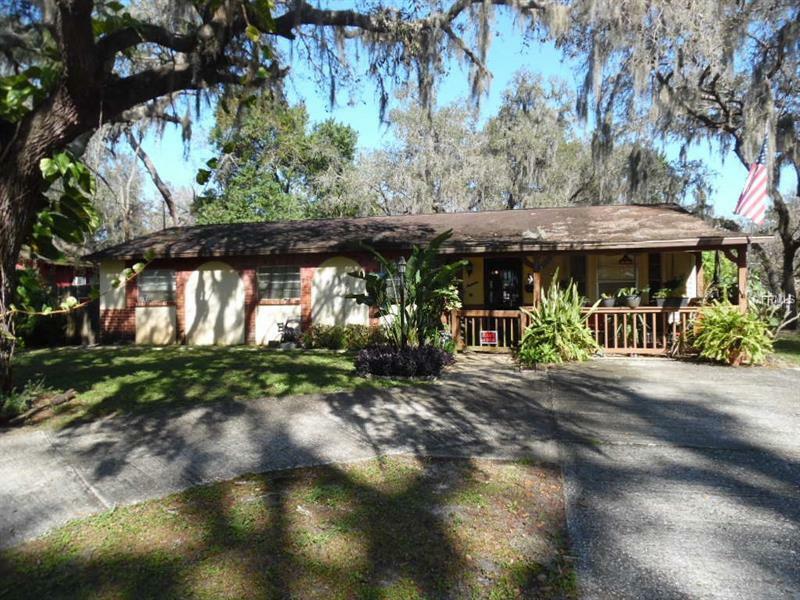 Great location, across the street from Moon Lake and around the corner from the public beach and boat ramp. Relax on the front porch and enjoy the views of the lake across the street. This home is very open and bright with a living area to the right and dining area to left as you enter the home. The kitchen is large and has updated cabinets and a large eating area with a built in tiled table/breakfast bar. Master bedroom suite features its own private bath. The 2nd and 3rd bedrooms are both spacious. Open faced French doors lead out to the spacious glass enclosed Florida Room which adds over 450 sq.ft. of additional living area! Florida Room leads out to the patio and to the fenced rear yard. Looking for a workshop, man cave or craft area? There is a large building with wall AC which would work for that. 2 other sheds add additional storage too. Brand new AC in 2018. And best of all NO deed restrictions for those of you who need to park work vehicles!! Hurry before it's too late!